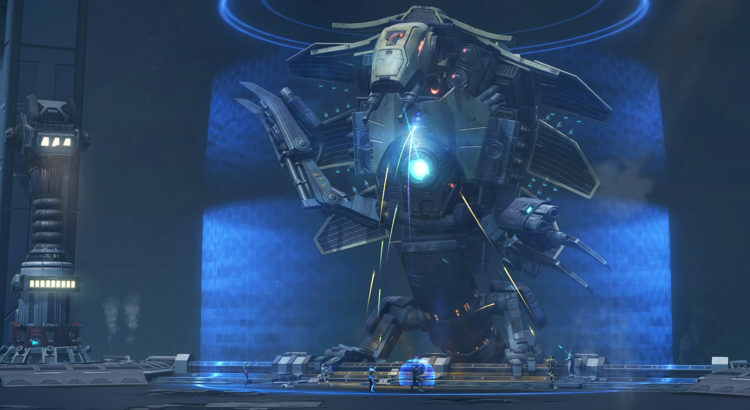 The last and largest of the dangerous droid superweapons of Iokath has been unleashed! With no one remaining to reign in its terrifying power, Izax the Destroyer, is set to annihilate everything in its path – starting with your Alliance. Do you have what it takes to defeat Izax’s superweapon “family” of bosses and then face the final God from the Machine Operation boss… in Veteran Mode? Set your sight on epic rewards and arm yourself with some pro-tips! Watch out for Izax’s superweapon – his Omnicannon ability. When he is casting this ability, you will want to be on high alert to make sure it doesn’t take your group down! TAKE COMMAND AND MAY THE FORCE™ BE WITH YOU!